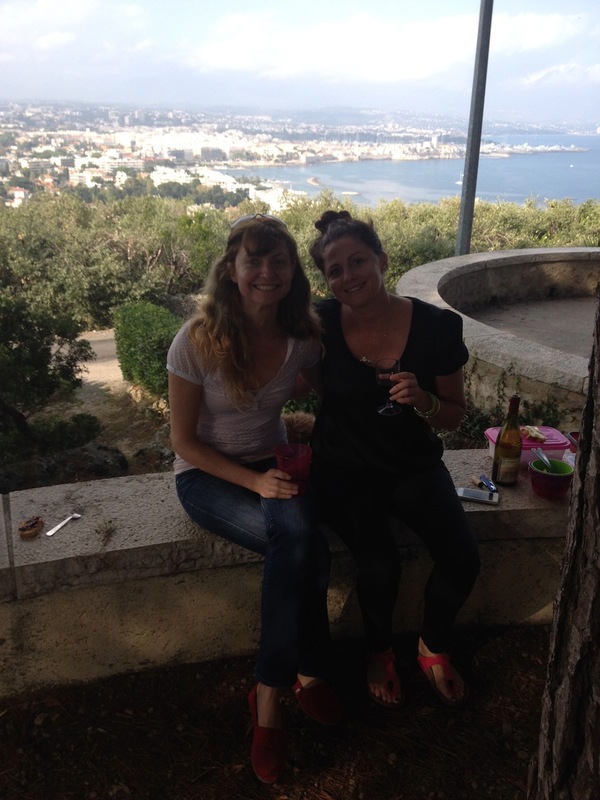 My sister and her partner run a Tuk Tuk business in the South of France around Antibes, Cap d’Antibes and Juan les Pins. Today we got our first ride in one of these three-wheeled contraptions. They are electric, nippy and very, very cool. You can’t fake those expressions of pure euphoria. 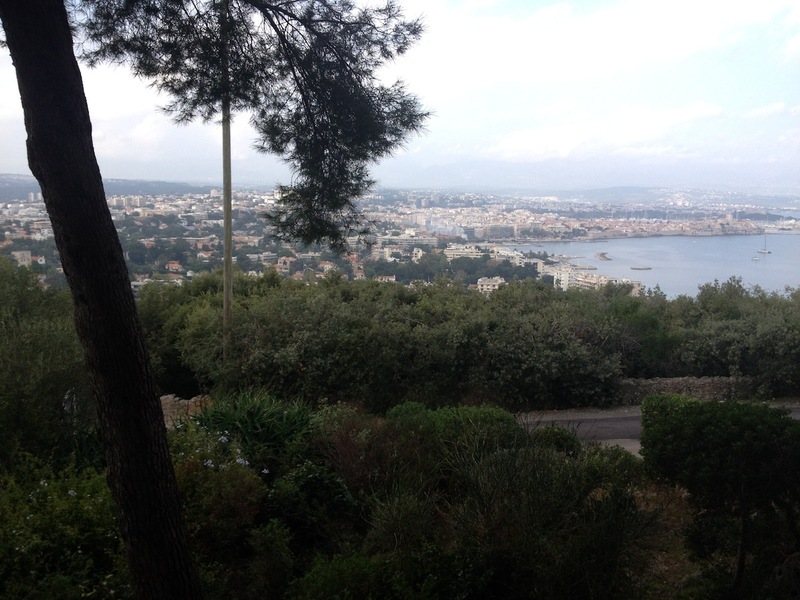 We went on a crazy, loud and laughter-filled adventure up to the Garoupe Lighthouse where there are some magnificent views of the Côte d’Azur. 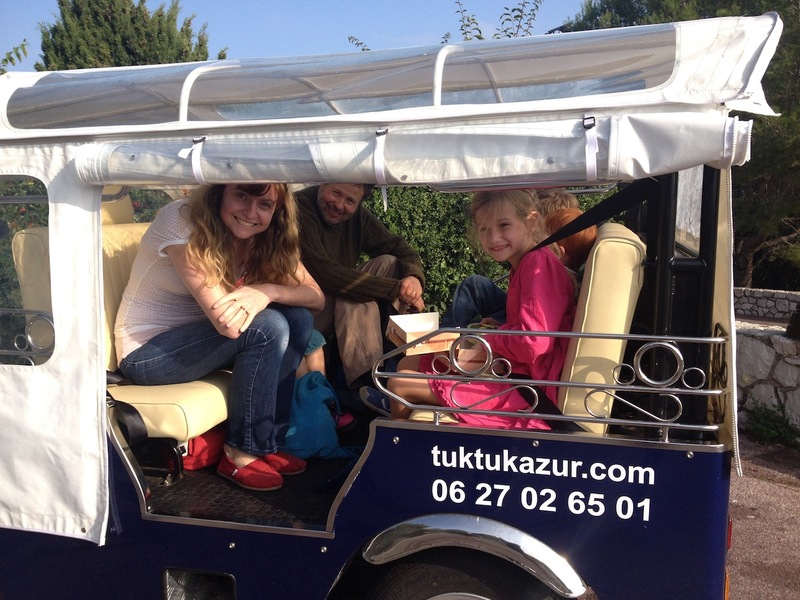 Here we had a scrumptious lunch with wine and canapés (Tuk Tuks can be booked with both ;-)). 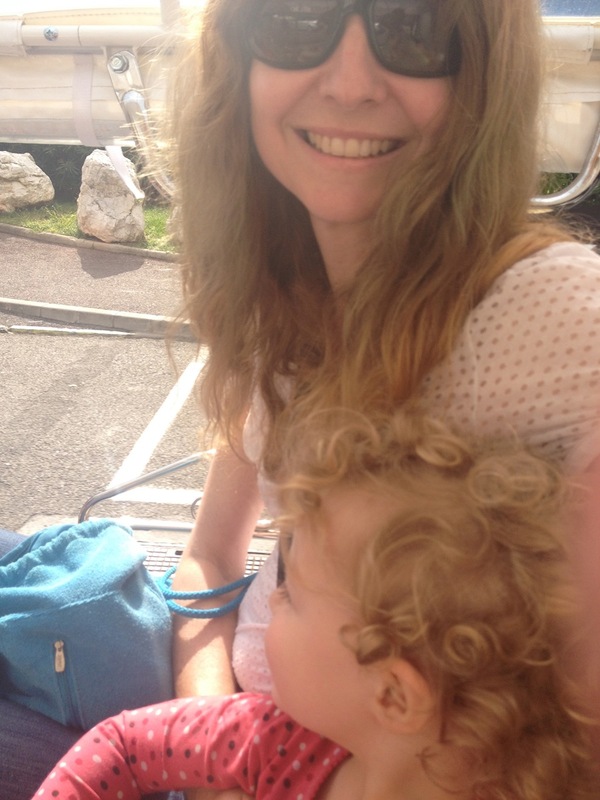 If this sounds like a cheeky attempt at some advertising for my sister, well, it is. So there. 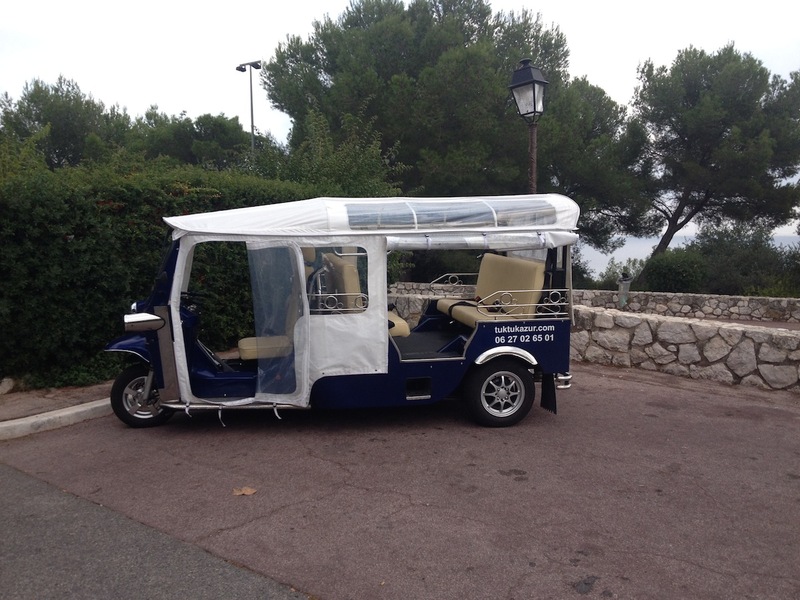 If you want a Tuk Tuk ride in the Côte d’Azur, something I highly recommend doing, then you can book from their website at TukTukAzur or via the TukTuk iPhone app made by me. We may not look like movie stars swanning around the South of France but we certainly felt like movie stars and that’s probably even better. 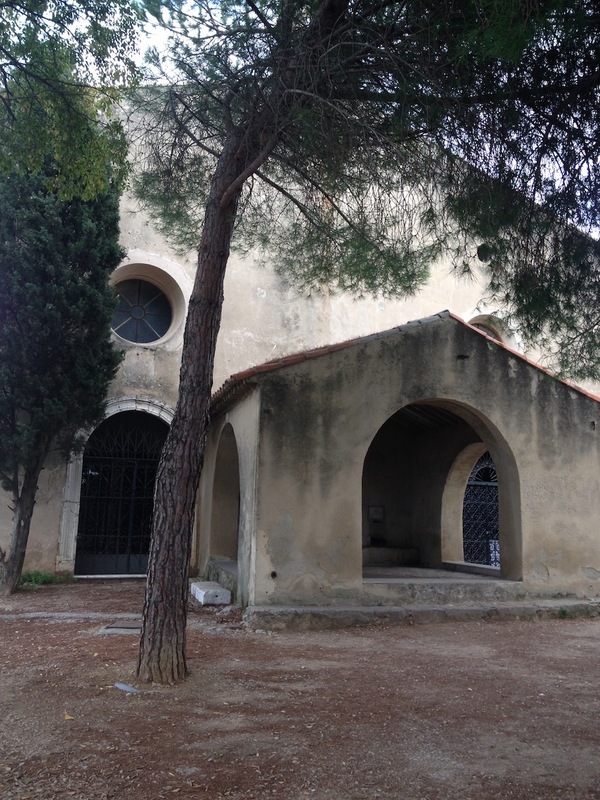 Posted in Photos, Travel and tagged Antibes, Cap d'Antibes, Cote d'Azur, electric car, France, Juan les Pins, South of France, transport, Tuk Tuk, Tuk Tuk Azur. Bookmark the permalink. Loving the photos, Rachel, and what a fabulous way to get around! It is indeed. We loved it. 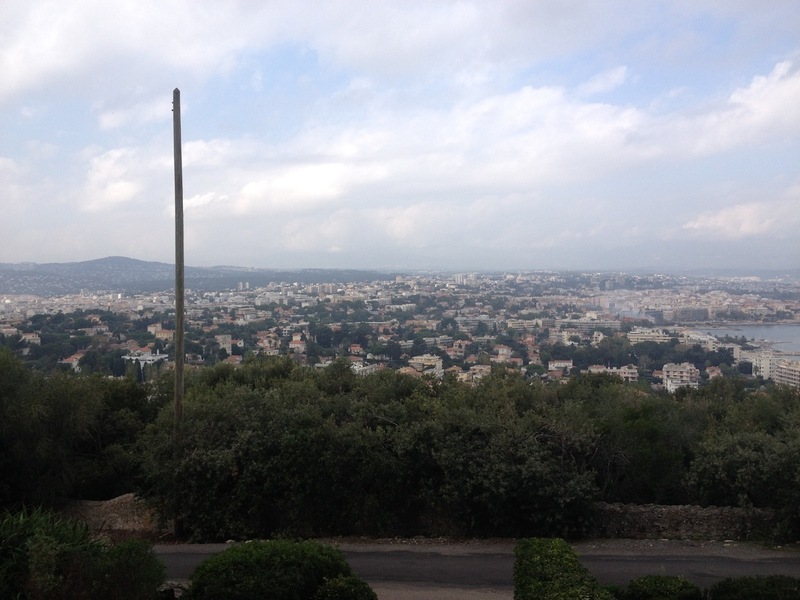 How lovely to see you all together in Antibes, especially the kids enjoying each others company. 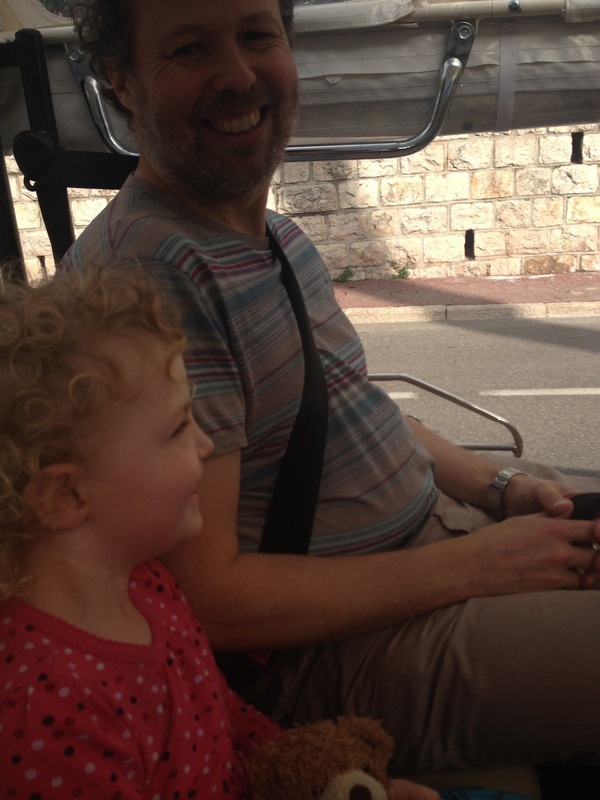 I recognise all of the sites that you visited having had my own tuk tuk and canapé ride earlier in the year. Love to all. Thanks, Max. The cousins have all been playing together very nicely which has made for a very relaxing holiday for all the parents. 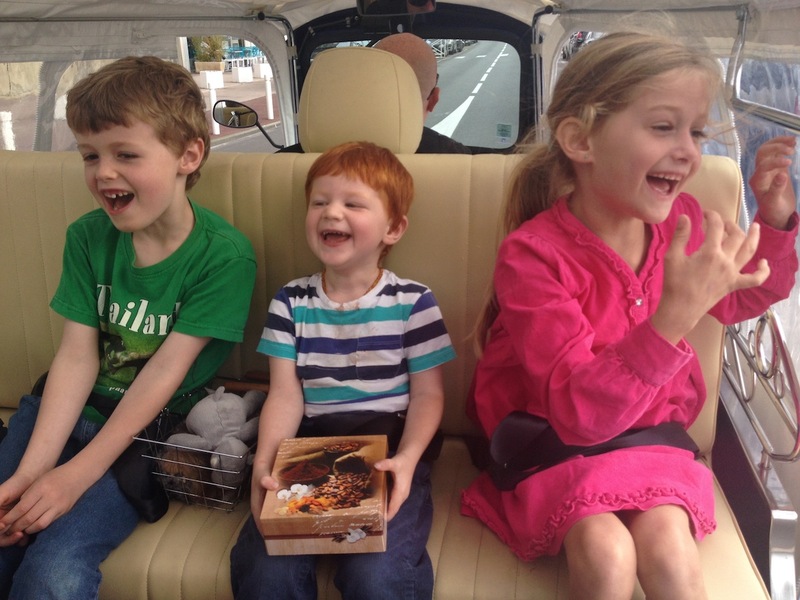 The Tuk Tuk ride has certainly been a highlight. Looks Like fun was had by all Rachel, in these vehicles that are foreign to me.They do sem very practical though. It was great fun thanks, Bob. They are very strange vehicles, I agree and I think we attracted a fair bit of attention on the road. Lovely to see you all having such fun! 🙂 Beautiful views of the non-humans as well. Thanks, Bronwyn. The views were magnificent and significantly better than in my photos. This looks so much fun Rachel 🙂 I would love to go to the South of France, and visiting by Tuk Tuk looks like a perfect day out! I will now go and visit the website, and why not plug your sister’s business? I would do the same! Lovely to see you all having such a wonderful holiday and missing the bad weather here – it was sunny earlier but tipping it down again now! Thanks, Sherri. Yes we really did pick a good time to holiday outside the UK given the bad weather recently. I hear there’s more bad weather still to come?? We’ll back back on Friday though and I’m looking forward to some cooler weather as the South of France has been too hot and humid for my liking. It’s almost November and it was 21 today and very sticky. What does it mean to be Australian?